RELX Group has published a new analysis, conducted by Elsevier, on SDG3: Good health and wellbeing. 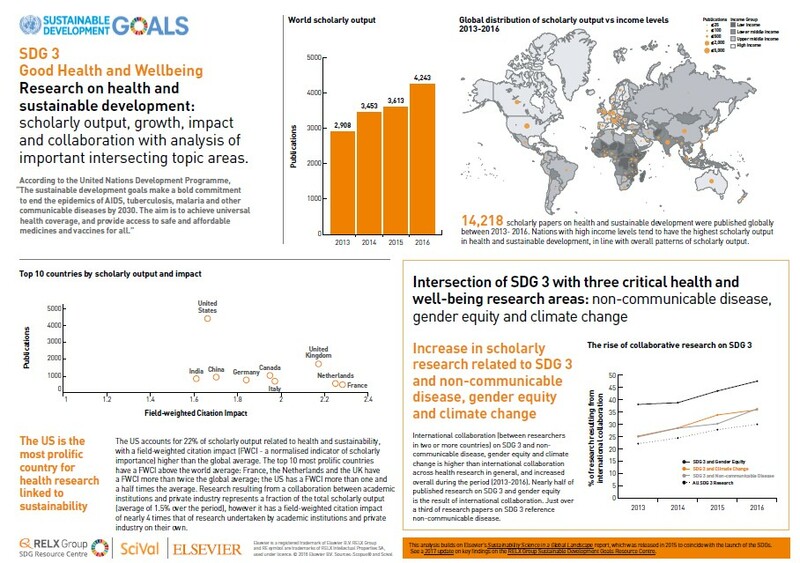 Looking specifically at SDG 3, this graphic provides insight into peer-reviewed research on health and three intersection with three critical health and wellbeing research areas: non-communicable disease, gender equity and climate change. Advancing goals 3 and 7, this article develops roadmaps to transition 53 towns and cities in the US, Canada and Maxico to 100% clean, renewable energy and energy efficiency in order to alleviate pollution's health and climate impacts.